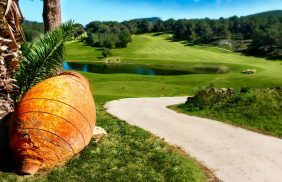 Golf Ibiza opens its doors to golf lovers and for all those visitors who want to start in this exciting sport or simply enjoy the Mediterranean cuisine of the Hoyo 19 restaurant, offered in surroundings of unique and unequaled Ibizan countryside. 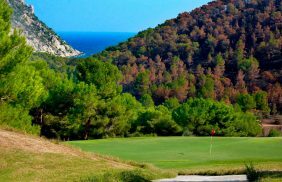 Golf Ibiza is reinvented under the new management of the hotel chain azuLinehotels, starting the 2017 golf season in Ibiza, and including great improvements in the ground facilities along with new features such as the opening of its new restaurant, the Hoyo 19. Golf Ibiza originates with the old Golf Club of Roca Llisa, which opened its doors in 1972 with a 9-hole course, becoming the first Golf Club on the island. Twenty years later, in 1992, the 18-hole course known as Ibiza Golf Club was inaugurated. Later, both clubs were unified under a single name, the current Golf Ibiza. With an extension of more than ten kilometers of intense countryside, the Golf Course is located just seven kilometers from the capital of Ibiza and is halfway between the towns of Jesus and Santa Eulalia. 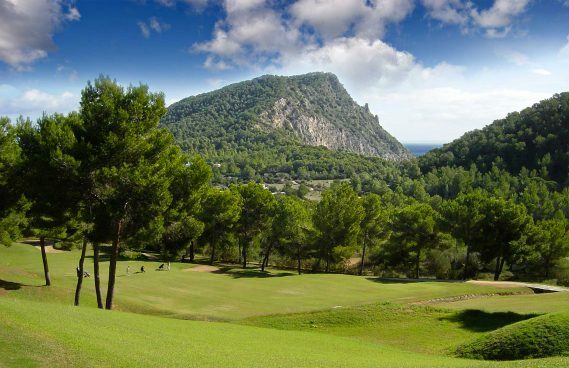 In addition, in the municipal area of Santa Eulalia, it has two courses with very different characteristics located in a beautiful valley near the Ibizan coast, from where you can appreciate the unique and spectacular views. 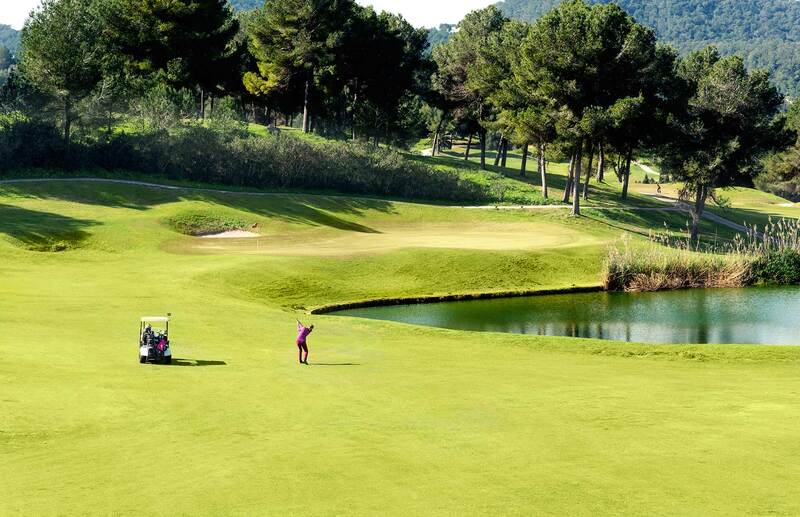 The design and courses allow you to enjoy golf with family and friends whilst taking pleasure in the scenery. 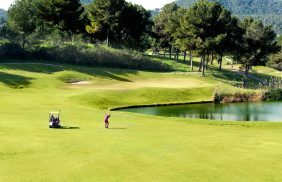 Among the changes in the facilities are great improvements in equipment, maintenance and conditioning of the Golf Course, where both the Greens, as well as the bunkers and the extensive routes of the lanes, have been carefully maintained and improved in great detail. 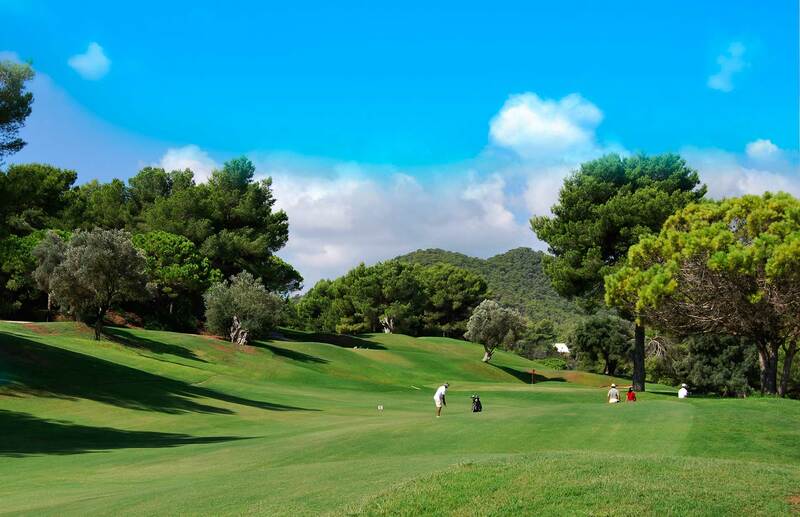 Golf Ibiza is divided into two courses of 9 and 18 holes respectively. Most of the holes have large greens, protected by bunkers that are strategically placed. Several of the holes are surrounded by trees and lakes throughout the routes. 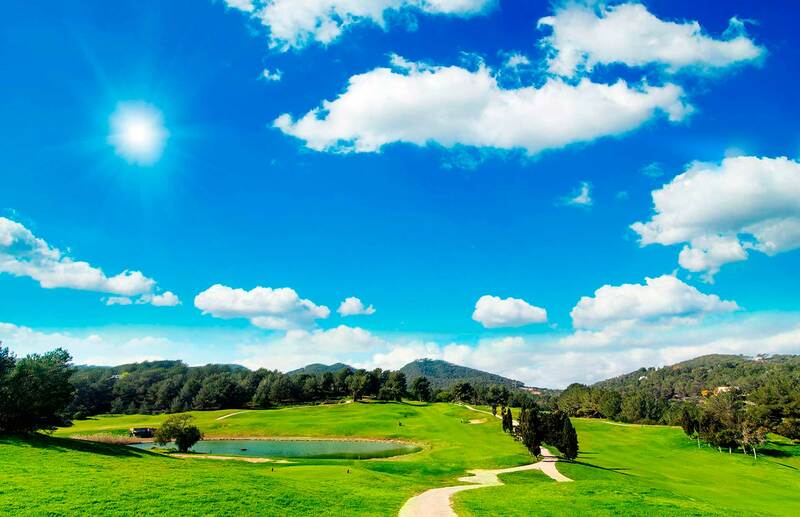 These characteristics together with the naturally beautiful rough terrain and constant sea breeze, make it a unique and very pleasant place to practice golf. 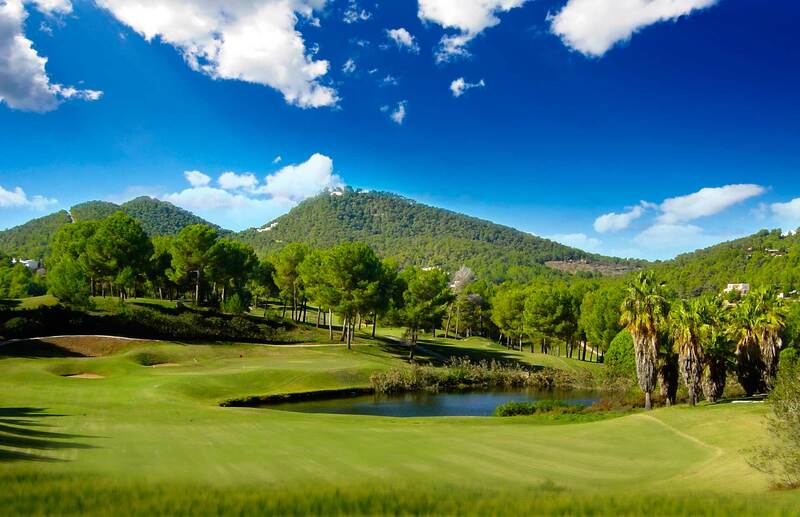 The 9-hole course corresponds to the course inaugurated in 1972 by the now-defunct Golf Club of Roca Llisa. The characteristics of this golf course, flat and open, make it very attractive for all types of players, both for beginners, who will find an agile and clean game pace and for the experienced, as the bunkers and trees, well positioned in the first 4 holes and with the different lakes, in the last 5. 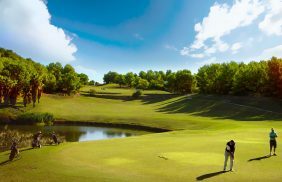 Playing on the 9-hole course is a fantastic round for the player who only has a couple of hours to enjoy golf, as due to the morphology of the terrain it makes a very comfortable game in a round of about two hours. 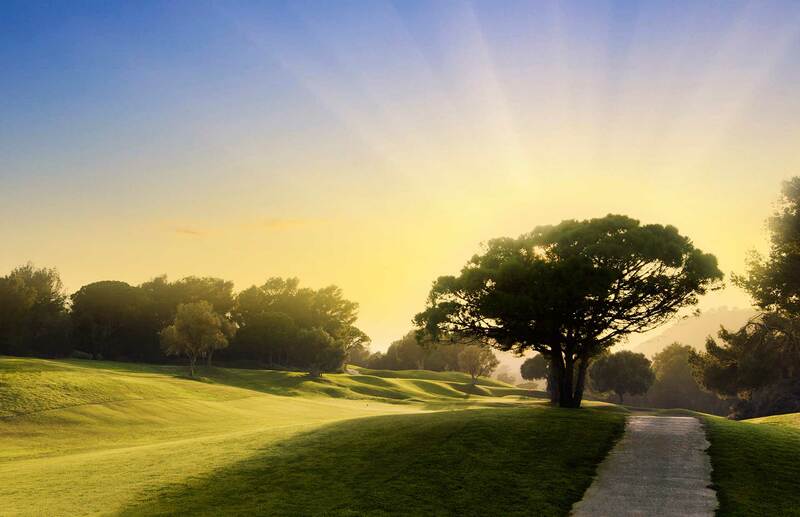 Set in the most rugged part of the valley, with narrow lanes, sea views and numerous natural and artificial obstacles, its 18 holes each have a name referring to its most outstanding geographic or aesthetic quality, being, therefore, one of the few golf courses that stand out for the variety of its “bermuda” turf and the particularity of its terrain. The 18-hole course has spectacular lanes adapted to the course of the rough terrain. Its slopes demand a high risk tactical game especially in that which concerns hole 4, with a very risky outside limit; hole 7, with the most pronounced incline of all of them; and hole 14, straight and completely in descent. Although it is the holes 16 and 18 that most exasperate players who reach them with a good score, as they are the most problematic. 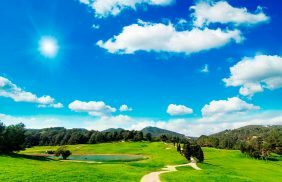 In short, a great round of about four and a half hours, were there is no easy hole and in which to play is a real challenge for golf enthusiasts of all categories.